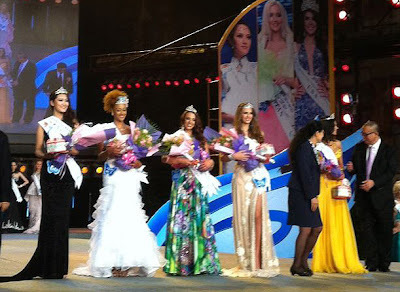 21 year old Miss Turkey, Sevcan Yasar was crowned as the new Miss Model of the World 2011 celebrating it's 23 year which was held last November 26 at the Shenzhen Splendid China Folk Culture Village, in China. The 1st run-up was Miss Hungary, Ivette Bozhar. Placed as 2nd run-up was Miss Guinea, Jasmine Mamadama. The 3rd run-up place goes to Miss China, Li Meng. And finally, the 4th run-up was Miss Czech Republic, Michaela Dihlova.